Vietnamese food is one of the most beloved, fun and flavorful you can find on this planet! Rice in all forms, pork, seafood, beef, chicken, tropical fruits and many interesting herbs will simply make you fall in love with this country’s cuisine. Probably the best way to discover the lesser-known delicacies is to book a spot at one of the amazing Xo tours and enjoy the tastes of Vietnam you might never find on your own. The best thing is: You will also get to see parts of the destination that regular tourists rarely visit and you’ll get an authentic experience of Vietnam. 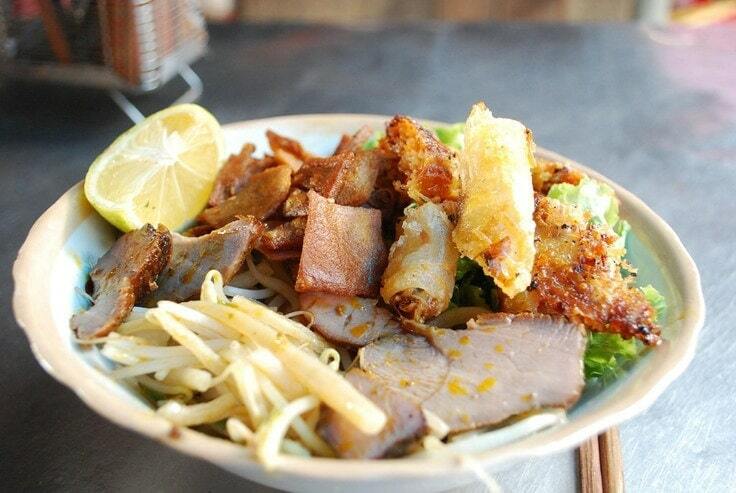 But until you start your tour, here are some of the best and most popular Vietnamese dishes! 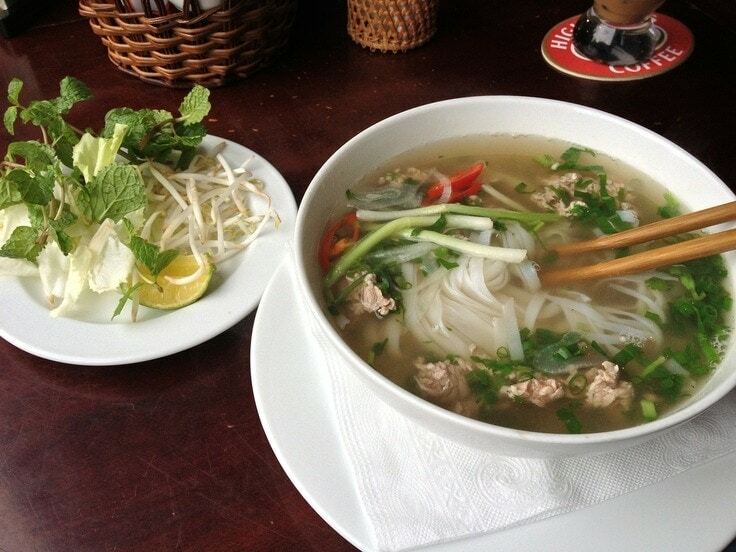 Pho is Vietnam’s national dish and one of the great staples of the Vietnamese diet. This tasty noodle soup can be eaten at any time and any place in Vietnam, so you’ll have no problems finding a good bowl. If you’re not familiar with this famous dish, it consists of a light meat broth, rice noodles, onions and slices of meat (chicken, pork or beef). The whole thing is flavored with ginger and coriander for that unforgettable aroma! Another very famous dish from Vietnam is Goi Cuon. These translucent rolls are neatly packed with various greens and meats (usually minced pork, crab or shrimp) to create little bites of heaven! Some restaurants or food stalls will serve these spring rolls with lettuce or mint, but it all depends on the place. For instance, in southern Vietnam, it involves barbecued pork strips wrapped in banana and dunked in peanut sauce! And yes, it’s exactly as tasty as it sounds! If you ever find yourself in Hanoi, don’t leave until you’ve had Bun Cha. This is the city’s specialty and there are Bun Cha stalls, food trucks and street kitchens practically everywhere you turn! 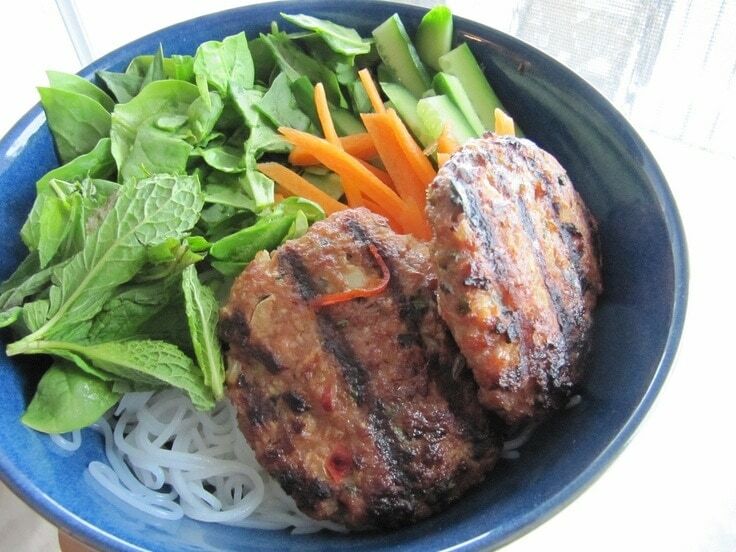 The dish itself consists of small hamburger patties straight from the BBQ grill and served with cold rice noodles. The best part of the entire deal is the sauce with its sweetish aroma that gives the dish a unique taste. Vietnam is a land of tasty soups, but pho is not all this amazing country has to offer. So, if you want to try something that’s a bit different when in Saigon, Bun Rieu is definitely a must! This dish is made from crab stock and mixed with tomatoes which create a beautiful seafood taste with a zing of tomato sourness. Bun Rieu is not as popular as pho, but the tastiest foods are often a well-guarded secret. If you’re a fan of noodles, remember that Central Vietnam does it best, so if you ever travel to Hoi An, you’ll find yourself in heaven! One of its many specialties is Cao Lau, a bowl of the best rice-flower noodles you will ever find. They are definitely the star of the dish, but when they are accompanied by bean sprouts, thin slices of pork and that light soup, together they make magic happen in your mouth! If you’re not really hungry enough for a real meal but just want something to munch on with your beer, this dish should be your first choice. Saigon Red beer goes best with a plate of stir-fried baby clams and rice crackers. Crackers are there to provide you with a satisfying crunch, but they also serve as the utensils to scoop up the clams! 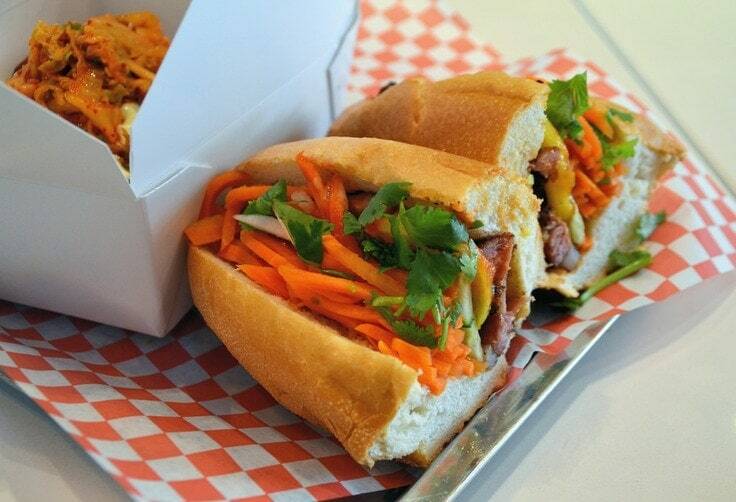 You can find another quick but tasty bite in Bahn Mi sandwiches. These crunchy baguette sandwiches come filled with various veggies and fillings to satisfy all tastes. For instance, you can choose anything from pate and omelets to pork and cured ham. If you don’t trust us how good this sandwich is, maybe you’ll listen to Anthony Bourdain who described it as “a symphony in a sandwich”! If you’re in the mood for something sweet, make sure to give these mung bean pastries a shot! They are a specialty Vietnamese dessert and are a must for every foodie that enjoys sampling traditional foods. The texture might be a bit weird to some, but if you enjoy your pastries with some tea, you’ll see all the appeal! Trying these local dishes will definitely bring you closer to Vietnam and its culture, but also leave you energized for all your Vietnamese adventures! Bon appetit or Ăn nào!